Koshari Missiles around the Corner. I picked up this menu from the new corner restaurant on Rigga Road, Deira, called Soarikh Restaurant. Google Translate tells me Soarikh means Missiles, which seems like a perfectly plausible name for a restaurant. 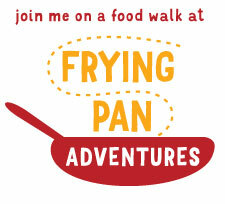 I will be so kind as to volunteer a tagline: Our Food is So Darn Good, You Will Be Blown Away. Translation hiccups aside, I read Soarikh’s menu backwards and forwards as I walked over to the stationery shop. The more I read, the more excited I got – the place was Egyptian (read: Koshari is now steps away from my apartment!) On my way back from the stationery, I stared into the restaurant for signs to confirm the Egyptian culinary stamp, and true enough, there were bottles of Kraft Cheese stacked up by the oven. JACKPOT. The place had to Egyptian. Egyptians love slathering on Kraft Cheese into their layered pastries. I haven’t encountered that phenomenon to the same extent in a Lebanese or Syrian bakery, nor a Turkish or Iranian one for that matter. It’s a dead giveaway of Egyptian layered pastry. The feteer was room temperature by the time it reached home – this is not something to ask for delivery (continue suspending judgement. even the practical voice in me turns into a pumpkin at midnight.) – but from the fact that I polished off three-quarters of the pastry in one sitting, it clearly wasn’t all that bad. Any carb-loving soul would have a hard time not enjoying slightly crisp and chewy sheets of pastry, with a sour, za’atar-speckled thread of creamy labneh stitched all across the insides. I’d say it would be the ideal midnight snack if my apartment was bang opposite the restaurant. Or if for some unfathomable reason, I put up a little tent right next to the warm cosy ovens. I went back the next day to try their goods in person. We headed right for a bowl of Alexandrian foul, scooped up with a slighter sturdier, crustier version of the khubz you get in most Lebanese places. 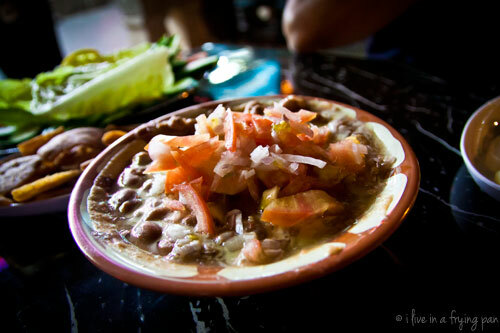 I’m a fan of the Alexandrian Foul in this place – the onions, tomatoes and lemon are just right, making it anything but a plain old, stodgy, tasteless bowls of beans (I have sadly tasted the latter too.) I've made a mental note to try their Foul with Fried Eggs version for breakfast sometime too. True to my feteer fetish, a savoury Feteer graced our table. Soarikh's version waltzed in with a naughty stream of melted ghee meandering across the golden sheets of baked pastry, and with Turkish cheese, tomatoes and olives cozied up inside. The Turkish cheese turned out to be crafted with goat’s milk, pungent, with a slightly bitter edge and aromatic with the gamey smell of stables. Not everyone’s cup of tea, but with the occasional briny olive or refreshing tomato chunk to cut through the gaminess, the flavours really grew on me. 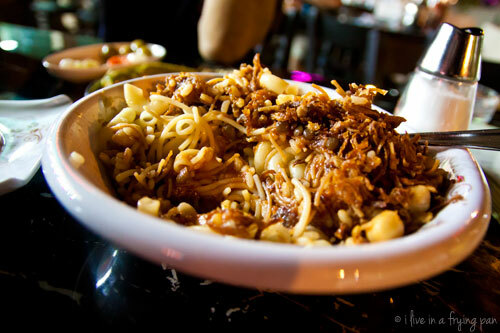 And then the dish that can really hit the spot on a carb-craving day, Koshari. It came just as it should, with layers of rice, garbanzo beans, green lentils, macaroni, spaghetti and those glorious fried crunchy onions all over the top. That said, the Al Ammor loyalist in me knows that I will probably crawl back to Ammor for their koshari if I get a chance. I can't put my finger on what it is, but something in my tummy just whispered that it preferred Al Ammor's version. But biases aside, Soarikh's koshari was more than good. The tomato sauce was definitely worthy of a repeat-order, as was the extra chunky and garlicky Hummus Shams that we had requested for on the side (under the koshari sub-menu, you can order extras on the side). 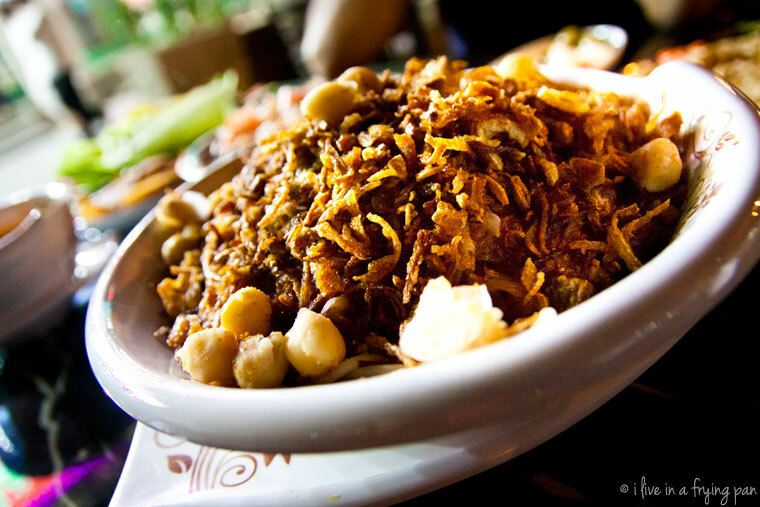 The small portion of Koshari was more than enough to feed my folks and myself, and even though my folks are admittedly small eaters, beware of over-ordering. Soarikh seems to be getting a good deal of attention from folks in the neighbourhood – I’ve caught people carrying takeout orders and even spotted an Egyptian server from my favourite Mandi restaurant lurking about for his koshari fix. 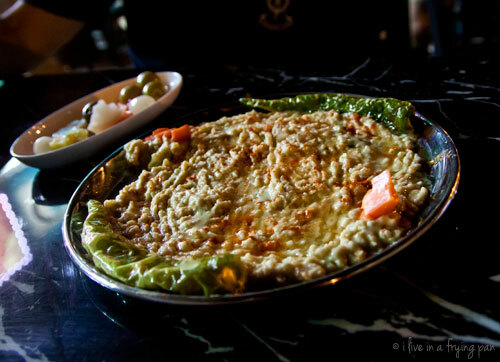 They do a mixed platter with foul, taamiya (Egyptian fava bean falafel) and other yummies the same way Al Ammor does, so that’s probably going to be next on my hit list. That, and the pretty awkward sounding Chick Eyes Falafel. Directions: Al Rigga Road, Beside the Port Said Mosque. Check out my Google maps link. 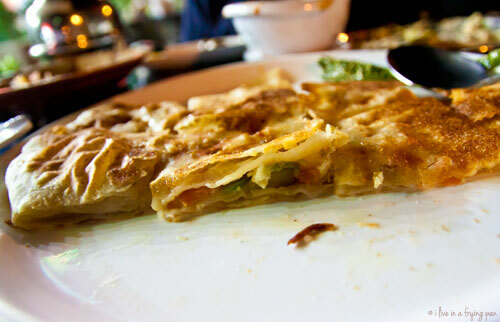 ← Older: For that dinner after dinner, there’s Kaati Express. Bwaahahahah! But did you ever taste the foul obesity? very nice review. 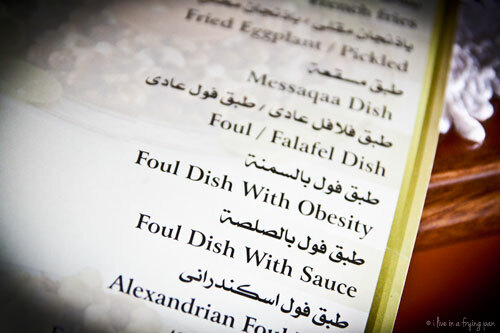 there is a suarikh restaurant in Alexandria for foul and Fetter and koushari. 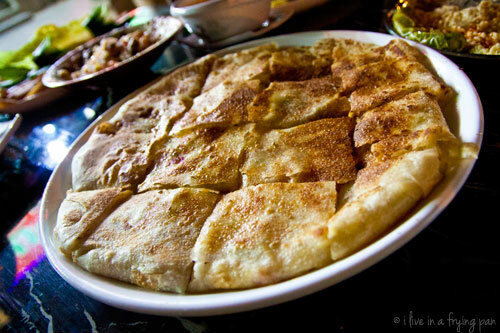 it is a land mark in Alexandria that people have to have a meal thier when they are visiting Alex. and funny enough it blossoms more at night and stay opened till 3 or 4 am.